Wow! Check out what’s New for 2014. Personalized Coasters are an awesome idea. If you have any upcoming special event look no further than Do Me A Favor Gifts. Wedding favors are a symbol of gratitude from the bride and groom that spans across the globe. With many different continents come many different cultures and traditions. Centuries ago the wedding favor tradition was one that only wealthy aristocrats could afford. Wedding favors would display the prosperity of the hosting family. Today wedding favors are available in Canada and around the world for every couple to offer. The budget for wedding favors is as individual as the wedding itself. Every couple has their own budget and their wedding favors should be chosen according to priority and how much each couple wishes to allocate toward each guests thank you. Whether your budget has a value of $2 per favor or $8 per favor it really doesn’t matter as long as it comes from the heart. Wedding favors are no longer restricted to only the higher budget weddings that they were in the past. 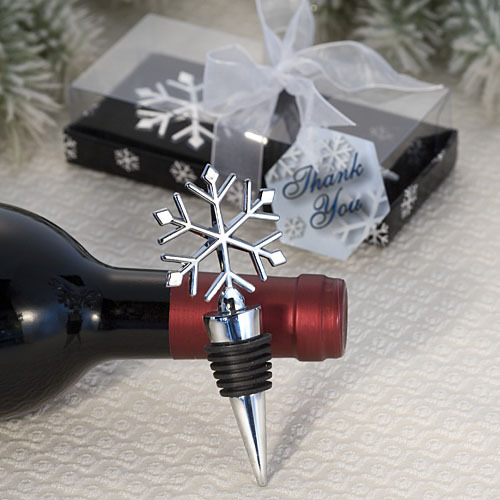 Everyone should be able to show appreciation to their guests with a special thank you gift. There are many wedding favors which can accommodate any budget. What about a practical yet elegant stainless steel cheese knife with a cut-out LOVE design on the blade and a heart detail on the handle for $2.24 each. Or, say cheers to these personalized wedding favors, such as shooter glasses which you design yourself to include all of your weddings details for $2.20 each. For the destination wedding you may want to pack up beach wedding favors like these chrome seashell bookmarks to remember your paradise wedding and also keep your spot while relaxing on the beach with a good book at $1.65 each. No matter the budget there’s a thank you for everyone. 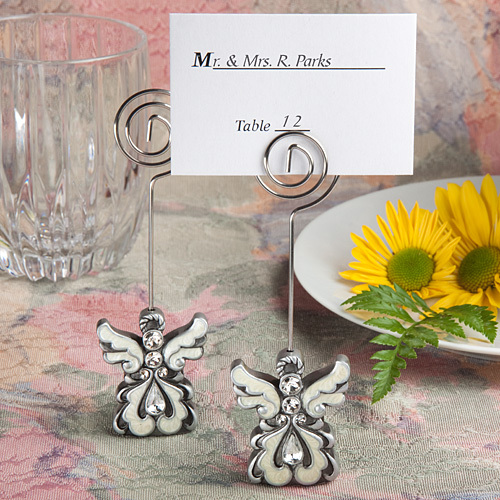 Add divine inspiration to your day with these Angel Design Place Card/Photo Holders as your wedding favors. Cherished as spiritual ambassadors of love and protection as well as bearers of joyful news, angels magnificently symbolize dignity, glory and honour. We’re here to be your “favour angel” for angel favours to help spread the joy on your big day. • Bulk packed with blank place card included Buy this now.